We view investor sentiment on the direction of the market as contrarian indicators since investors usually are wrong. The Indicators are basically unchanged over the last couple of weeks, continuing to indicate that stock market investors should remain cautious. 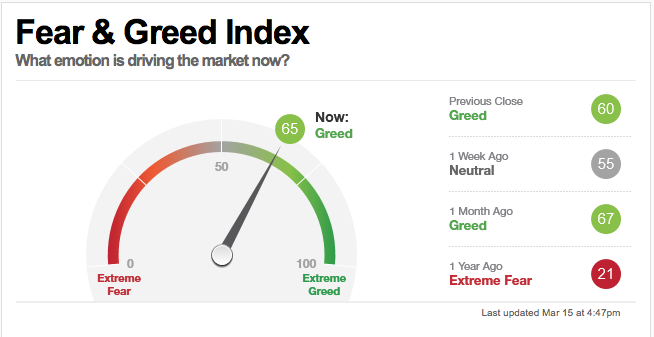 The CNN Fear/Greed short-term indicator at 65 is slightly bullish, which is a negative from a contrarian point of view. As for the intermediate terms outlook, the Investors- intelligence Bulls/Bears poll of sentiment on market direction among stock market newsletter writers also was indicating caution. The bulls came in at 53% and bears were at 21% bullish, a difference of 32%. That’s a negative from a contrarian point of view since these writers historically are wrong. As we said last week, the market has had a large bounce from the December oversold levels. 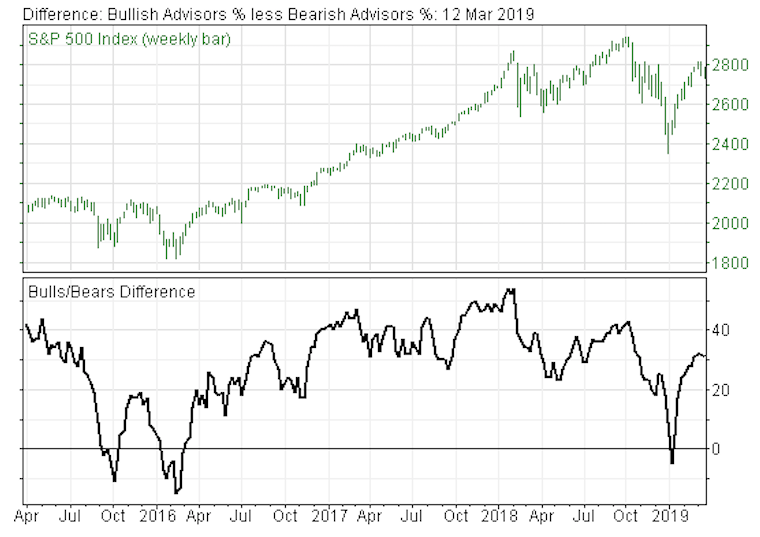 Sentiment, is not outrageously bullish, but it is somewhat overly bullish, which means investors should remain cautious.